Far Cry 5 brought a novel US setting and sidekicks like Boomer to the mix. With Far Cry 5 the series took a bold step, taking the action to the US. But despite the fact sunny Montana was a world apart from the Pacific Islands of Far Cry 3 (or the Himalayas of Far Cry 4 for that matter), this had all the action and exciting open-world gameplay the series is renowned for. Also, you did not go up against pirates or soldiers here, but rather against the heavily-armed mercenaries of the Project at Eden’s Gate cult, led by their fanatical leader Joseph Seed (aka “The Father”), who sadly wasn’t quite in the same league as earlier villains like Pagan Min or Vaas. 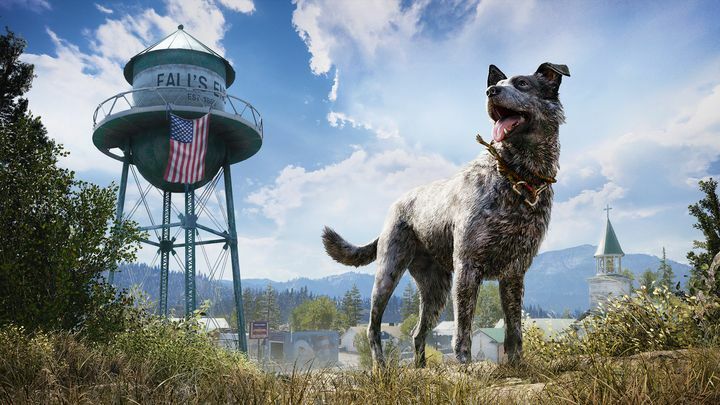 The open-world gameplay is as much fun as it’s ever been though, and taking part in activities like races, animal hunts and outpost raids together with companions like Hurk or Boomer the dog made this a stellar entry in the series all the same.